Was US Aircraft Providing Intelligence for Drone Attack Against Russian Base in Syria? A US Navy Poseidon reconnaissance aircraft was flying over the region for some four hours around the time of the drone attack. Russia said that a recent drone attack against its military base in Syria would not have been possible without assistance from a country possessing satellite navigation technology. According to a statement by Russian defence ministry, a “strange coincidence” was noted around the time of the attack as a US spy plane was spotted circling over the area. Without pointing fingers at any specific country, the ministry noted that a US Navy Poseidon reconnaissance aircraft was flying over the region between Russia’s bases in Latakia and Tartus for some four hours, around the time of the drone attack. On Saturday, a swarm of armed drones, around thirteen in number, launched an attack against the Khmeimim Airbase and the maritime logistics facility in the city of Tartus. Russian anti-aircraft defence system successfully shot down seven drones. And the electronic warfare specialists managed to ‘override the operating systems of six more drones’, and eventually gained control over them. 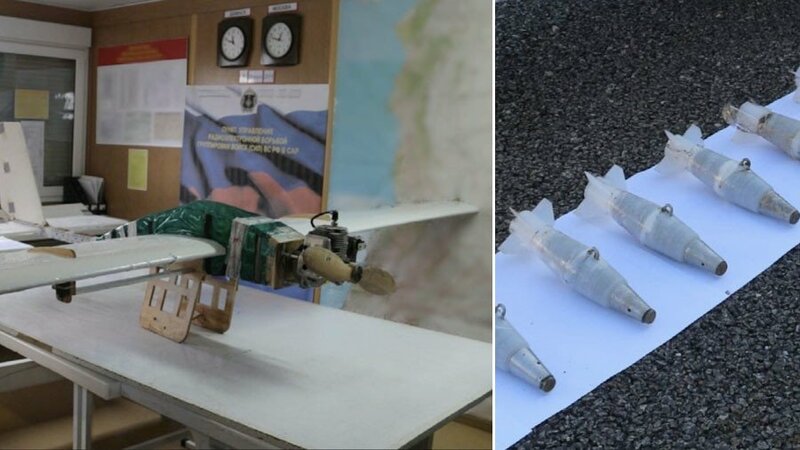 “It was the first time that terrorists massively used unmanned combat aerial vehicles of an aircraft type that were launched from a distance of more than 50 kilometres, and operated using GPS satellite navigation coordinates,” the ministry said in a statement. It was also further noted that detonators used in the explosive attached to the drones were of foreign manufacture. The drones, according to data from the captured drones showed that it was launched from the rebel-controlled Idlib area. "The drones were launched from the area of Muazzara in the south-western part of the Idlib de-escalation area controlled by so-called 'moderate opposition' units," Russia defence ministry newspaper said. Idlib is one of four de-escalation zones in Syria established as part of a deal, signed by Turkey, Russia and Iran, to reduce the intensity of the conflict. The armed Unmanned Arial Vehicles (UAV) used in the attack, according to sources, could have been obtained only from a country possessing state-of-the-art technologies. The recent attack comes about a week after the Kheimim air base was subjected to mortar shelling by militant groups that killed two Russian military personals.